"Yellow Lab Majesty Address Labels" product is already in your cart. 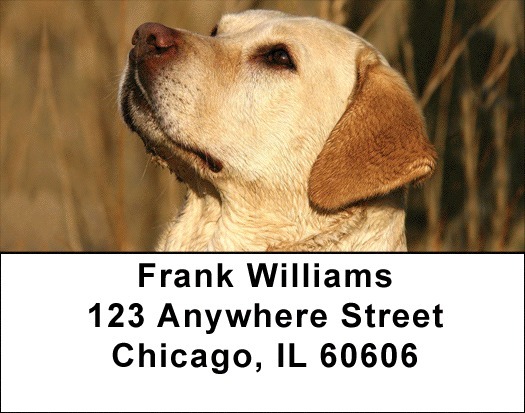 Yellow Lab Majesty Address labels feature four pictures of yellow labs at their beautiful best. Labs are often used by police and as assistance dogs. They like to swim and play games and are devoted pets. These Yellow Lab Majesty Address labels are available self adhesive. Matching checks are also available.